Wasting Money on Wasted Food? 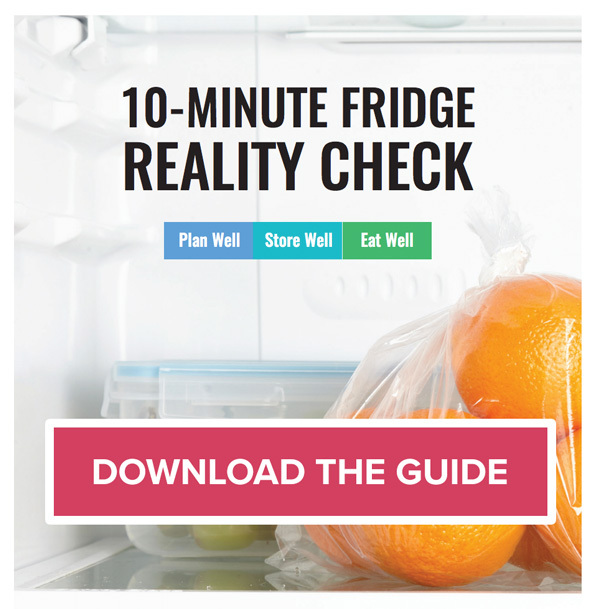 Do a Fridge Reality Check to find out! In just a few minutes, our handy step-by-step guide will show you just how much food is going uneaten in your fridge every week, and also provides customized tips & tools to save money by reducing wasted food at home! Download the guide, and print it out if possible to help record your results step-by-step. Use your results to discover which food-saving tips can help you most, then download the tools referenced in your reality check below. Bonus: See how your findings compare with fellow fridge checkers – submit your results anonymously here! Download and print our “Eat This First” sign to designate an area in your fridge for foods that need to be eaten soon, before they are forgotten. Shop with meals in mind! This meal planner shopping list helps you save money by buying only what you actually need. Remember to “shop” your fridge, freezer and cupboards for ingredients first. Our storage guide makes perfect produce storage a snap. Tip: Post it on your fridge!